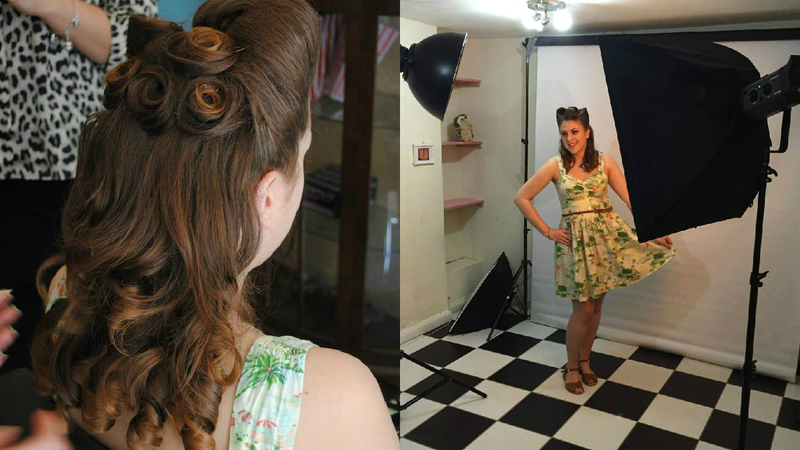 A few Sundays ago, myself, Lilla and Lyndsay were invited down to Betty Lou’s Vintage Salon on Preston Street in Brighton, alongside 3 competition winners, to undergo a makeover and take part in a photoshoot. A photoshoot. My.Worst.Nightmare. I so nearly said no to the e-mail based on this but I thought, you know what, it’s good to do something that scares me a little and takes me out of my comfort zone! 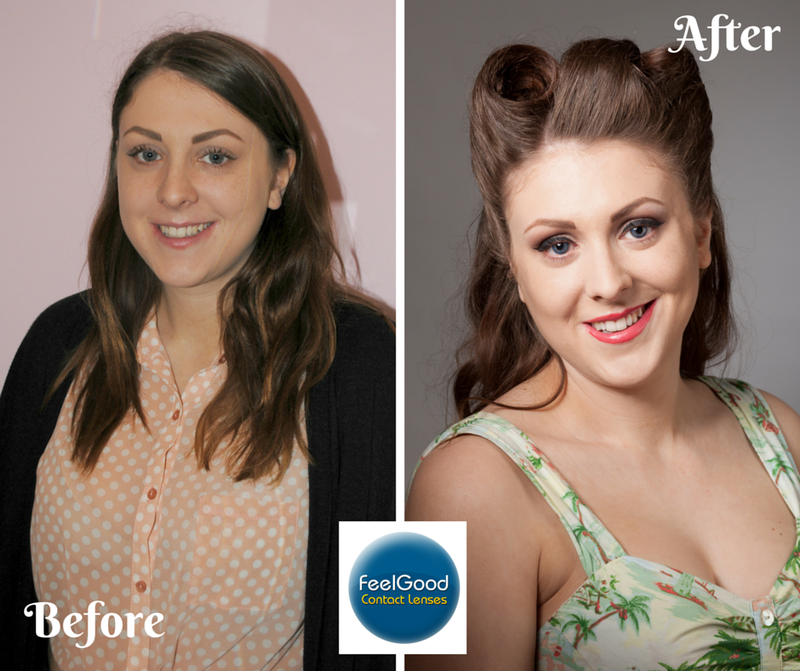 The photoshoot and makeover were in partnership with Feel Good Contacts with the aim of the contacts, makeover and photoshoot to feel as good as possible! We each chose a pair of fashion or prescription contacts ahead of the shoot to transform our look and in the end after umming and ahhing between a few, I opted for a clear dark blue, and after about 30 minutes of prodding poking, and even getting Alice from Jellyfish to have a go, they eventually got in. At first they were a little bizarre, but towards the end of the day I had completely forgotten they were even there! 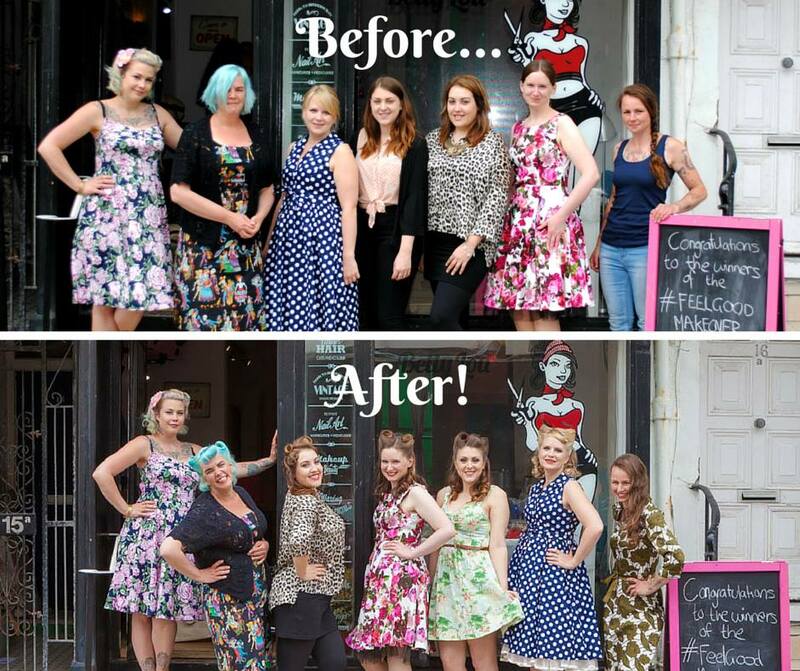 The amazing team at Betty Lou were really fabulous and took us right back to the 1920’s and so on, to the modern day!. I opted for a cutesie hula 50’s style look to go with my palm tree and flamingo print dress, and I loved the hair, it was a work of art in itself. The lovely Natalie transformed my hair, with the help of a LOT of hairspray, and Martha worked her magic on my face! 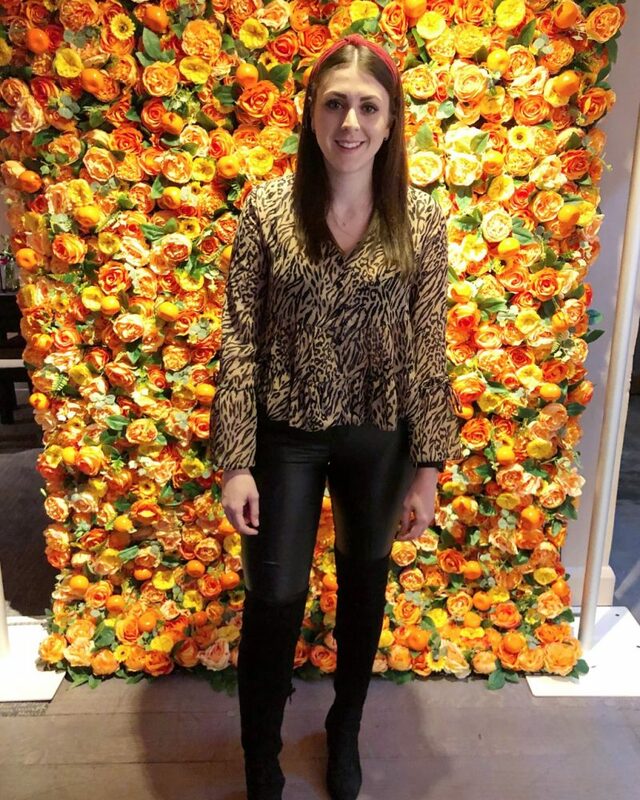 After our full makeovers, the lovely Katariina of Light Trick photography took our photos and ran the photoshoot and she made me feel totally ease and like a total superstar, I really had nothing to worry about after all. Thank you so much to Feel Good Contacts, Betty Lou’s Salon and Jellyfish for a lovely, memorable day! Have you done something recently that pushes you out of your comfort zone? Have you ever tried coloured contacts?